Here is the exclusively selected and carefully picked list of .in and co .in domains dropping on 30th January. These kind of premium names are impossible to be available for regular registrations. You can order any of them for just $25 flat. Here is the exclusively selected and carefully picked list of .in and co .in domains dropping on 31st January. These kind of premium names are impossible to be available for regular registrations. You can order any of them for just $25 flat. Here is the exclusively selected and carefully picked list of .in and co .in domains dropping on 1st February. These kind of premium names are impossible to be available for regular registrations. You can order any of them for just $25 flat. Here is the exclusively selected and carefully picked list of .in and co .in domains dropping on 2nd February. These kind of premium names are impossible to be available for regular registrations. You can order any of them for just $25 flat. Here is the exclusively selected and carefully picked list of .in and co .in domains dropping on 3rd February. These kind of premium names are impossible to be available for regular registrations. You can order any of them for just $25 flat. Here is the exclusively selected and carefully picked list of .in and co .in domains dropping on 4th February. These kind of premium names are impossible to be available for regular registrations. You can order any of them for just $25 flat. Here is the exclusively selected and carefully picked list of .in and co .in domains dropping on 5th February. These kind of premium names are impossible to be available for regular registrations. You can order any of them for just $25 flat. Here is the exclusively selected and carefully picked list of .in and co .in domains dropping on 6th February. These kind of premium names are impossible to be available for regular registrations. You can order any of them for just $25 flat. Here is the exclusively selected and carefully picked list of .in and co .in domains dropping on 7th February. These kind of premium names are impossible to be available for regular registrations. You can order any of them for just $25 flat. Here is the exclusively selected and carefully picked list of .in and co .in domains dropping on 8th February. These kind of premium names are impossible to be available for regular registrations. You can order any of them for just $25 flat. Here is the exclusively selected and carefully picked list of .in and co .in domains dropping on 9th February. These kind of premium names are impossible to be available for regular registrations. You can order any of them for just $25 flat. Here is the exclusively selected and carefully picked list of .in and co .in domains dropping on 10th February. These kind of premium names are impossible to be available for regular registrations. You can order any of them for just $25 flat. Here is the exclusively selected and carefully picked list of .in and co .in domains dropping on 11th February. These kind of premium names are impossible to be available for regular registrations. You can order any of them for just $25 flat. Here is the exclusively selected and carefully picked list of .in and co .in domains dropping on 12th February. These kind of premium names are impossible to be available for regular registrations. You can order any of them for just $25 flat. Here is the exclusively selected and carefully picked list of .in and co .in domains dropping on 13th February. These kind of premium names are impossible to be available for regular registrations. You can order any of them for just $25 flat. Here is the exclusively selected and carefully picked list of .in and co .in domains dropping on 14th February. These kind of premium names are impossible to be available for regular registrations. You can order any of them for just $25 flat. Here is the exclusively selected and carefully picked list of .in and co .in domains dropping on 15th February. These kind of premium names are impossible to be available for regular registrations. You can order any of them for just $25 flat. 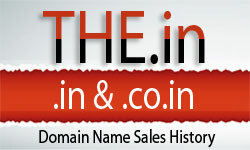 Here is the exclusively selected and carefully picked list of .in and co .in domains dropping on 16th February. These kind of premium names are impossible to be available for regular registrations. You can order any of them for just $25 flat. Here is the exclusively selected and carefully picked list of .in and co .in domains dropping on 17th February. These kind of premium names are impossible to be available for regular registrations. You can order any of them for just $25 flat. Here is the exclusively selected and carefully picked list of .in and co .in domains dropping on 18th February. These kind of premium names are impossible to be available for regular registrations. You can order any of them for just $25 flat.